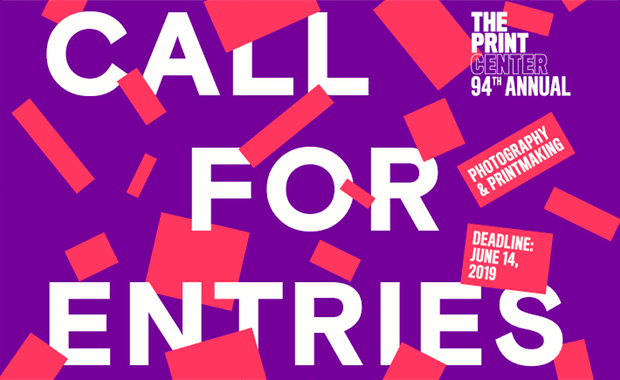 The Print Center is very pleased to announce the 94th Annual International Competition, open to all artists using Photography and/or Printmaking as critical components in their work. The intention is to highlight local, national and international artists who utilize photography and printmaking in new and intriguing ways, both in content and process. Three of the Finalists will be selected by The Print Center’s curator to receive solo exhibitions at The Print Center (January–March 2020) along with a honorarium. Portfolios of work from the Finalists and Semifinalists will be presented digitally at The Print Center during the Solo Exhibitions and permanently online on The Print Center’s website. Several other awards will be announced as well. Artists whose work pushes the boundaries of traditional photographic and printmaking practices are encouraged to enter. Work submitted must have been completed in the last three years. Up to five images may be submitted and only one submission per person is allowed. The Print Center’s Annual is one of the oldest and most prestigious competitions in the United States. Each entry costs $45. Entries can only be submitted online.